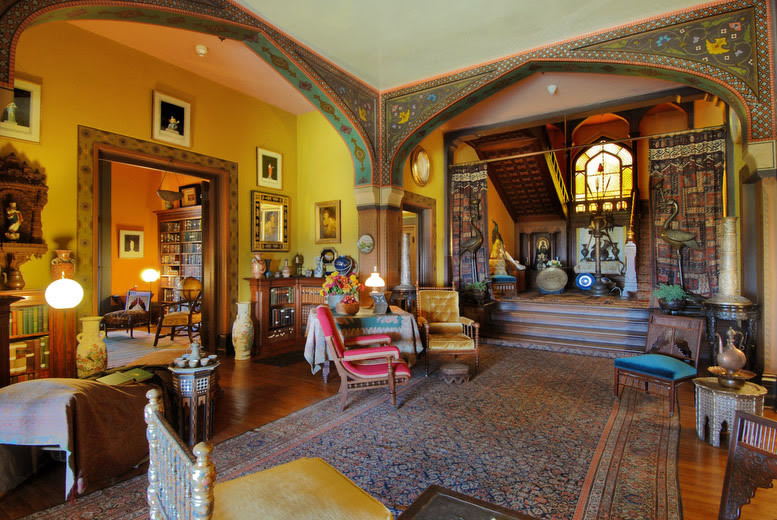 Olana will be closed to the public on the day of our visit, so the Hajji Baba Club will be given a private, curated tour of the house and grounds. In addition to the carpets on view in the house, the curators will bring pieces from the collection out of storage for the Hajji Baba Club members to examine and discuss. The tour will also include areas of the house that are not open to the general public. Located near the town of Hudson, NY, Olana is an approximate 2-1/2 hour drive from New York City. The Club is hiring a private coach for travel to and from New York City and Olana.